The reason for the need to raise rates is the rising cost of connections in rural areas. The Ukrtelecom company appealed to the National Commission, carrying out state regulation in the sphere of communications and Informatization (NCCIR), with a request to increase the maximum tariffs for fixed telephony 14% from 1 November. “We asked the regulator to consider an increase in marginal rates. We are talking about autumn, about November. 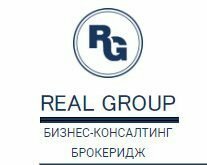 We have rising costs, accordingly, there are preconditions for increase,” – said the Director for corporate communications of the company Mikhail Shuranov. According to him, the average operator requested the regulator raising the limit of the tariffs for the fixed telephony 14% from 1 November 2018 and another 10% from January-2019. He also noted that now the most expensive package of Ukrtelecom is approximately 73 UAH. For subscribers we are talking about raising the monthly fee for a few hryvnias. We will remind that Ukrtelecom in the first half of 2018 received 289 million UAH of net profit, which is 18.6% less than in the same period of 2017 (355 million UAH).